Pakistan has decided to appoint an ad-hoc judge at the International Court of Justice (ICJ) for the next hearing on a plea filed by India against the sentencing of alleged spy Kulbhushan Jadhav. An Express Tribune report said that Attorney General for Pakistan (AGP) Ashtar Ausaf Ali will be leading Pakistan's legal team at the next hearing of the case on 8 June at the UN court, which stayed Jadhav's execution on 18 May. The ICJ had on 18 May stayed the execution of 46-year-old Jadhav, who was sentenced to death last month by a Pakistan military court that convicted him of alleged spying and subversive activities. The Attorney General for Pakistan informed that the parliamentary committee on national security that Pakistan would appoint its ad-hoc judge for the upcoming hearing and he would himself lead Pakistan's team at the ICJ. Earlier in the parliamentary panel's meeting on 23 May, the committee had expressed outright dissatisfaction over Pakistan's legal strategy to deal with Jadhav's case at the ICJ. It said the government's "lack of preparation" had resulted in allowing India to get a provisional stay order against the military court's verdict. Pakistan raised the confession statement of Jadhav as a base of its argument and accused India of using the ICJ for its "political theatrics". India termed that the confession of Jadhav was forcibly taken by the military while in captivity and he was tried by a military court in Pakistan. Amjad Shoaib, an ex-ISI official and a retired Lieutenant General of the Pakistan Army, has acknowledged India's claim that Kulbhushan Jadhav was captured from Iran. Pakistan claimed that Jadhav was taken into custody in Balochistan in March 2016 while India has repeatedly maintained that Jadhav was on business trip to Iran and Pakistan had captured him from there and planted a false case against him. 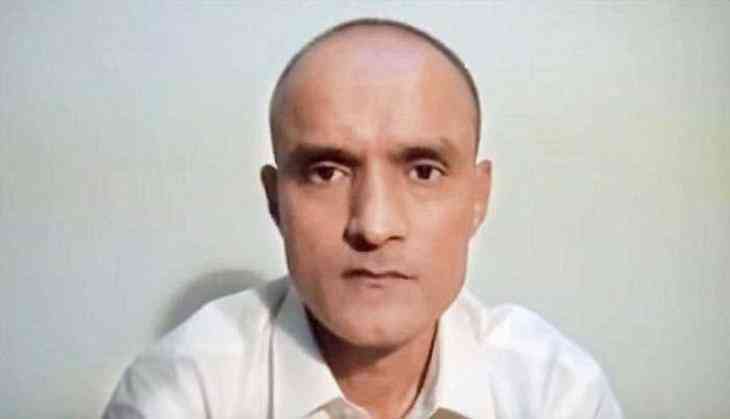 Jadhav, a former Indian Navy officer ,was given the death sentence by a military court in Pakistan on 10 April for alleged "espionage and subversive activities".